SSL is enabled by default on all domains hosted with One.com. This means that both HTTP and HTTPS will work for your site. If you want to make sure that your visitors always use HTTPS, then you can automatically redirect HTTP to HTTPS. In this guide we show you how to do this. 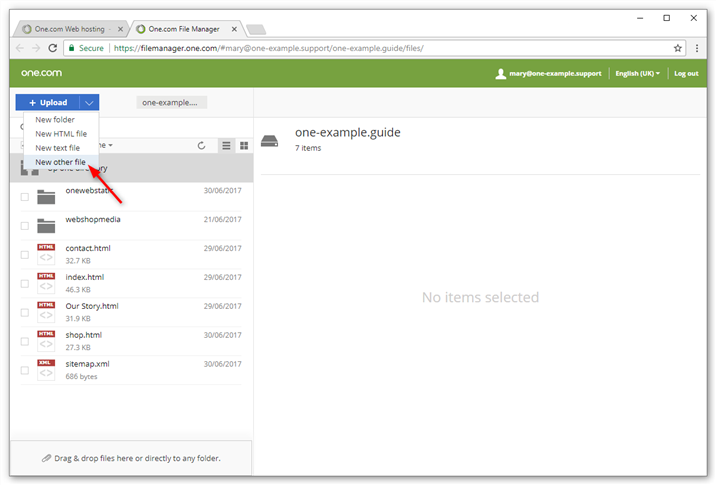 Click File Manager on the Files & Security tile. Click the arrow at the right of the blue button and select New other file. Name the file .htaccess, beginning with a dot. 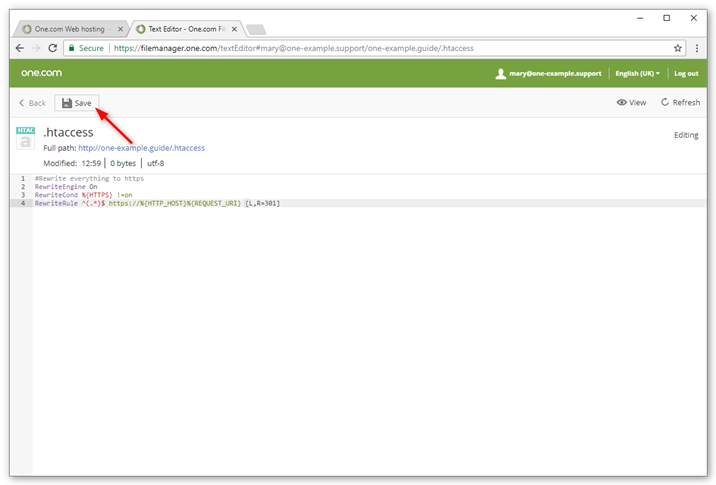 Note: If you already have an existing .htaccess file on your web space, you don't need to create a new file. Instead you can edit the existing file. 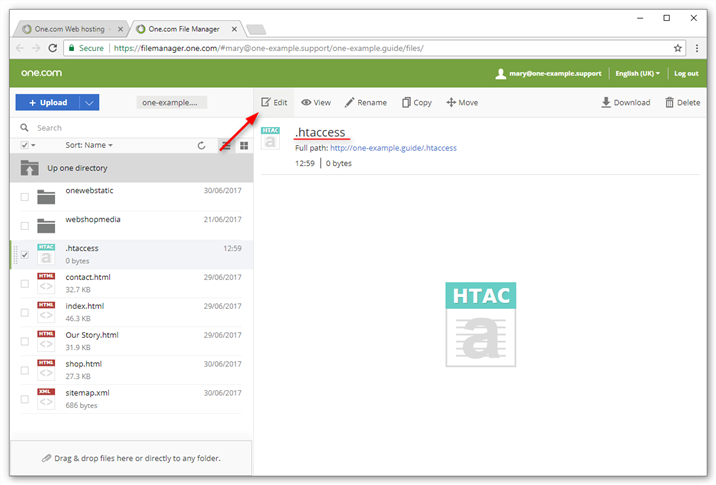 Select the .htaccess file and click Edit at the top of your screen to open the text editor. Paste the following code in the text editor, and click Save at the top of your screen. All done! 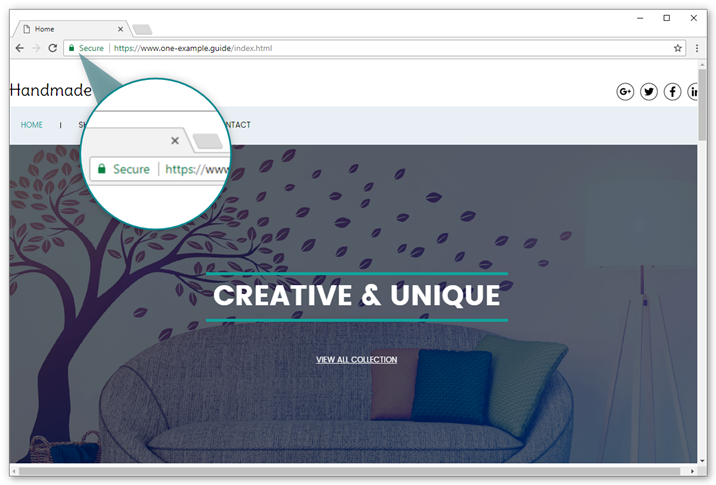 Open your site in your browser and check if you see the green secure lock. What has changed in the new Website Builder? How do I add a favicon to my Website Builder site? How do I hide or lock components to the bottom in mobile view? How do I activate mobile view for my Website Builder site? How do I optimise my Website Builder site for mobile? How do I make my start page into an ordinary page?